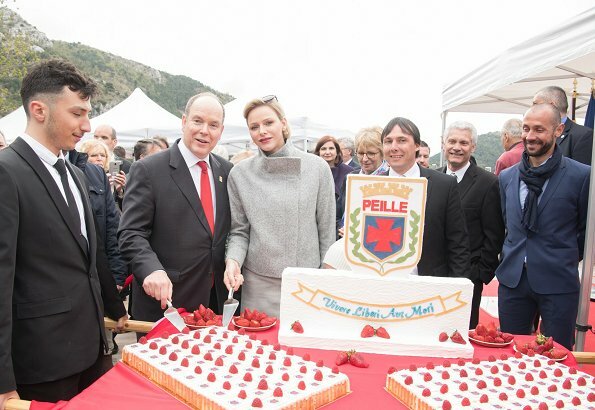 On April 6, 2019, Saturday, Prince Albert of Monaco and Princess Charlene of Monaco visited Peille (Alpes-Maritimes) which is a village linked to the history of the Grimaldi family. 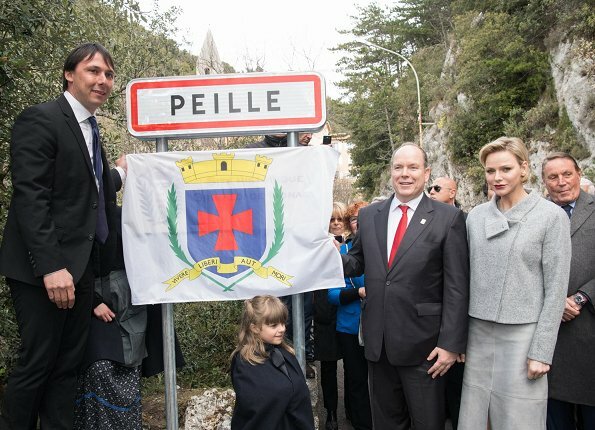 Peille is a commune perched on a rock between Monaco and Menton in the Alpes Maritimes department in southeastern France. 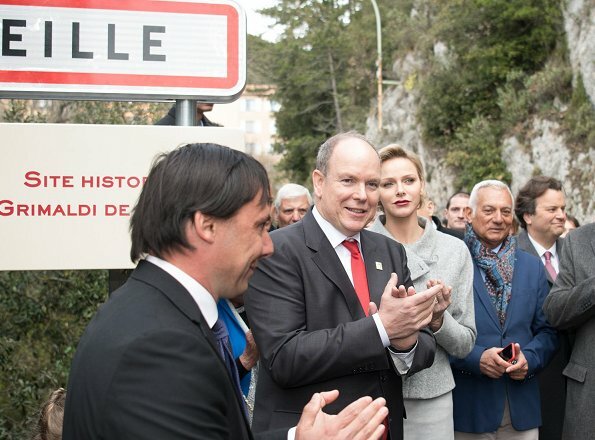 The Prince and The Princess were welcomed by mayor M. Cyril Piazza at the entrance of the village. 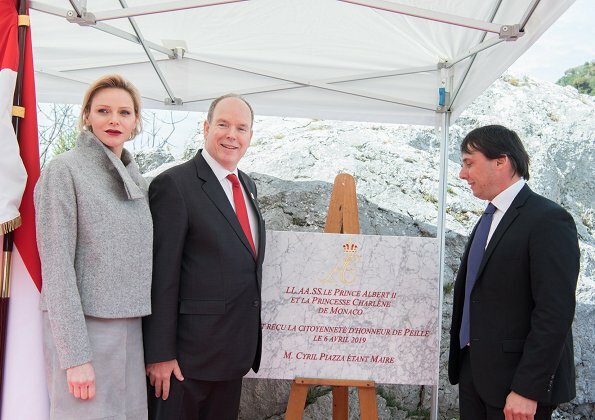 At the entrance of the village, The Princely couple also unveiled the plaque of the Grimaldi Historic Sites of Monaco. The village is known for its narrow streets, small squares, and architecture dating to the Medieval period. In the village, there is a twelfth-century church built in the Romanesque style having ancient frescos decorating its interior. Yes, but it's grey, her other favourite colour. 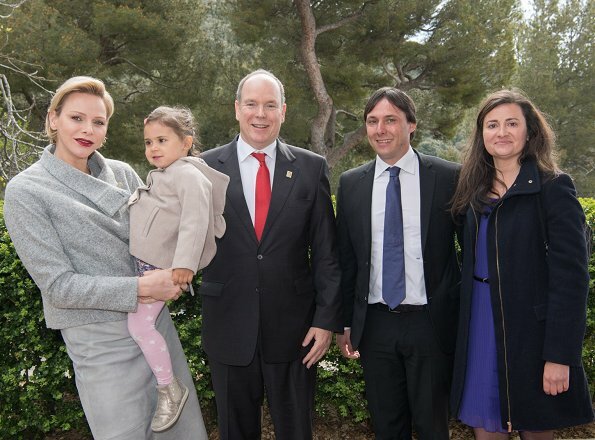 When I saw the headline I thought to myself "So is she wearing black or grey?" That said, I like the pieces on their own but together the outfit feels clumsy. I hope she grows out her hair, her longer hair softens her features. 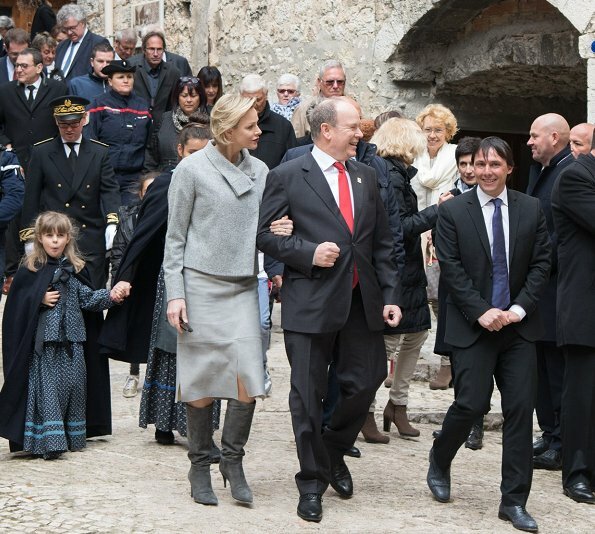 Very chic outfit of Pss Charlene,but do not care for the boots. Both look wonderful. It was very nice to see the Pss again. 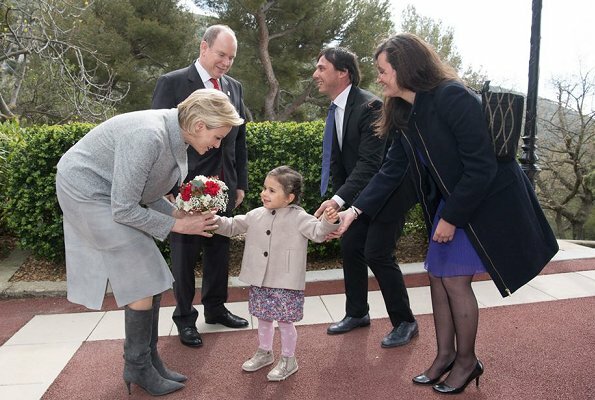 The child handing the flowers is cute. 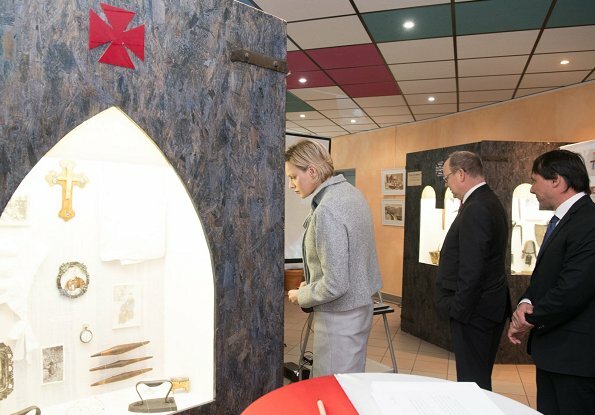 Yes, and carrying out, her role in a professional way with a smile.Her oufit is very stylish. Very nice in soft greys. The bootsxare fantastic. Not sure she quite judged the temperature correctly - she looks a bit chilly in a couple of the photos. as well happy and relaxed. She looks beautiful here. A modern take on a classic outfit. The red lip looks smashing on her. 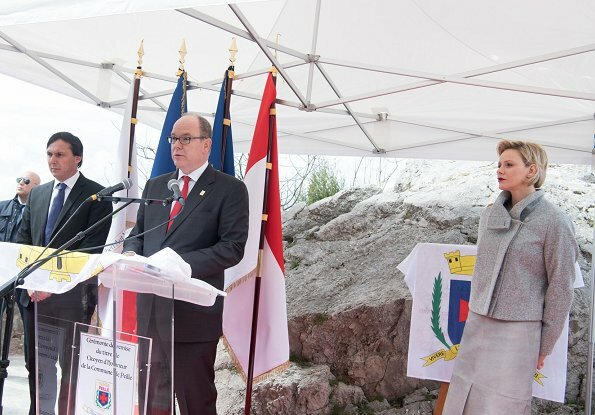 Le seul petit regret:Nous ne vous voyons très peu.